From tracking invoices to staying in control of cash flow – we’ve got you covered from $5/mth. 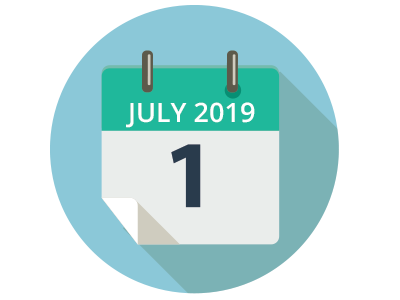 Single Touch Payroll is mandatory for all employers from 1 July 2019. Check out our resource hub full of information to ensure your business is compliant with the latest changes to payroll reporting. You can also sign up to attend one of our free STP webinars which will provide the information you need to submit your first STP report with the ATO! We’re here to help you. Our Reckon accounting software has STP functionality to ensure your business stays compliant. Everything you need to run and grow your business. We’re a one-stop-shop! Easy-to-use online accounting software. Perfect for self-employed and small businesses. Starts from just $5/month. Manage pay runs, allowances, leave, superannuation and Single Touch Payroll for an unlimited number of employees. Powerful online accounting that helps you manage your finances, payroll and inventory together in one solution. Ideal for medium to large businesses. Affordable online point of sale software. Manage your sales, customers, employees and inventory from anywhere for just $29/month. Access business funding to grow, seize opportunities and support cash flow. Apply online or over the phone in minutes, with funding possible in as little as 24 hours. It’s time to get excited about your accounting software. The next generation of online accounting software is here. And it’s breathtakingly simple. The perfect fit for small and medium sized businesses. Now you can have it all, for less. Explore our practice management suite with everything you need to manage an accounting firm. Set up companies, trusts and SMSFs securely and quickly online. Auto-manage compliance and perform property and company searches. Practice management software for smaller practices. Focus on tax and lodging tax returns easily. Used by more than 4,300 users, including H&R Block. Practice management software for medium to large accounting firms (3 of the big 4 use us!). Improve your practice processes, gain efficiencies and grow your firm. on cloud accounting, Single Touch Payroll, EOFY, marketing and more. We won’t make your business good. Thousands of successful businesses, accountants and bookkeepers around the world rely on Reckon. Access business funding to grow your business and support cash flow. Need business and financial advice? Find your local Reckon certified advisor. Search 6,000 Reckon Accountants, Bookkeepers and Consultants across Australia. Discover a new way to run your business. 30 days completely free. Unlimited users.